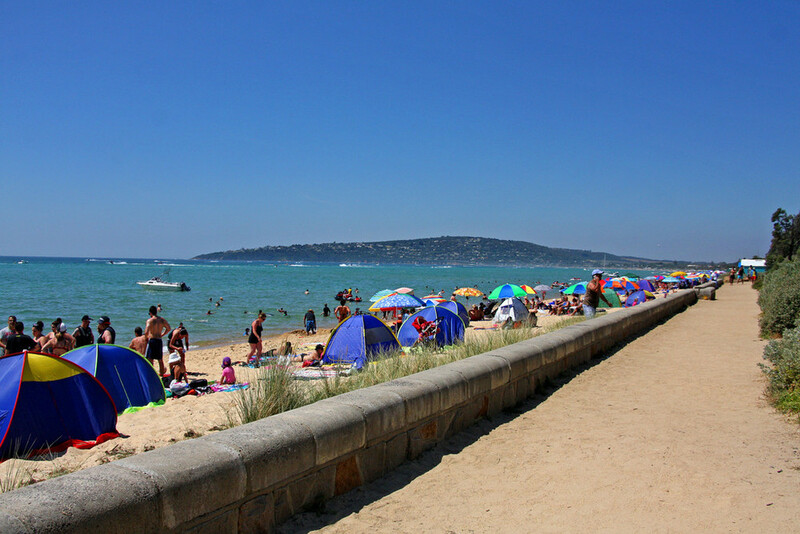 An easy stroll to the beach (600m), shops, cafes and cinemas - yet situated in a tranquil location away from the hustle and bustle of Summer crowds. This unique property offers a traditional seaside holiday with artistic flair. The beautiful beach house has been transformed into the perfect retreat for relaxation and rejuvenation. 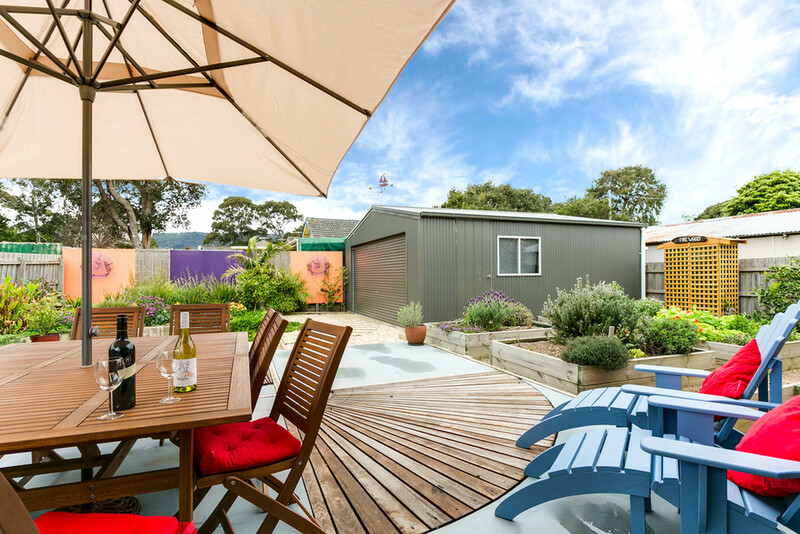 Enjoy the tranquil surrounds and sip a glass of wine in the landscaped garden with views of majestic Arthur's Seat - or unwind indoors where every room is sure to delight. The property sleeps 8 - 10 guests comfortably. A perfect balance has been struck as the home is both aesthetically pleasing and comfortably inviting. *Split-system heating and cooling for year round comfort. *Romantic Coonara fireplace for cooler months. *2 living areas and 3 bathrooms. *Seaside Lounge with large flatscreen TV, DVD, CD player, selection of DVDs, split system air conditioning/heating plus a comfortable, supportive pull out bed (sleeping 2). *Open plan kitchen /dining / living area. *Kitchen~ fully equipped with dishwasher. *Huge dining table with seating for up to 12 guests. 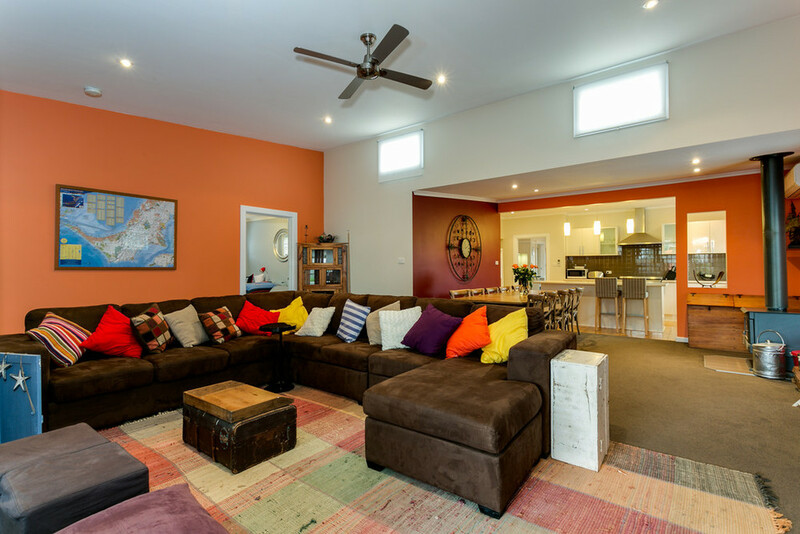 *Living room with Coonara fireplace, split system air conditioner/heater, large flatscreen TV, DVD, CD player/iPod/iPhone dock. Doors open out to spectacular entertaining area. *Main bathroom with separate shower, bath and toilet. *Laundry with washing machine and dryer. *Main bedroom with queen bed, walk in robe, split system, fan and ensuite with walk in shower, double basin and toilet. *Bedroom 2 with queen bed and portable fan. *Bedroom 3 with 2 x singles or 1 x king (upon request), ceiling fan, panel heater and ensuite with double basin, shower and toilet. *Bedroom 4 "The Cabin Room" with 2 single beds and fan. Outside the captivating living space continues. *Undercover BBQ area with table and up to 6 chairs, gas ducted bbq, extractor, fan and outdoor kitchen sink. *Umbrella shaded alfresco table with seating for 10. *The landscaped gardens include a herb garden that will delight your senses. There is a wide selection of herbs for your use, including kaffir lime leaves, thyme, sage, oregano, mint and rosemary. *Off street parking, including room for car/trailer in the back gated section. Sandpebble is suitable for families, mature couples or adult groups aged 25+ years. The property has a NO SMOKING policy inside and out. No functions or parties permitted. No Schoolies, sorry. The property is approx. 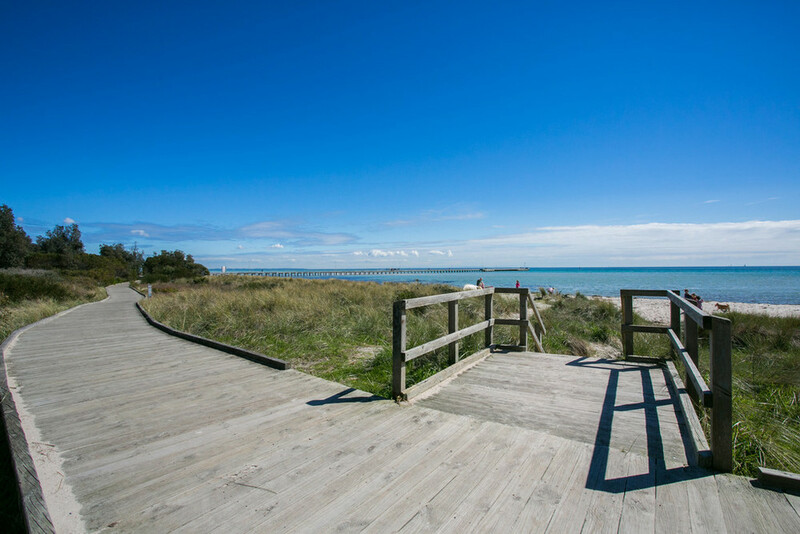 600m from Rosebud beach, 700m from Rosebud supermarkets, shops, cafes, restaurants, library and 2km from McCrae yacht club and the Pavilion, McCrae. (Jan 10 - Jan 31) 7 night min. stay. (Dec 1 - Dec 18) 2 night min. stay. All tariffs are BYO linen. Guests BYO sheets, pillowcases, towels and teatowels.